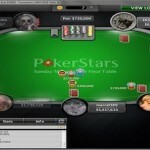 An Irish poker player “stardust167” has won the PokerStars Sunday Million event on 21Feb 2016, for an amount $179,120. 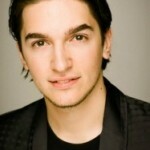 He defeated “nicofellow” of Brazil, who took home his share $132,894. 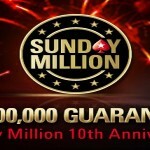 This week’s Sunday Million tournament attracted 5,778 entries and generated $1,155,600. Top 855 places got paid with some amount of money. The final 9 players at the final table of the game were capodelon((5,788,056), Gordinho90 (4,586,037), KumariOy (12,526,049), nicofellow (2,020,821), stardust167 (12,912,097), pmahoney22 (8,098,470), IMDaBuster (4,748,602), feldegani.ps (5,282,710) and DEdgge (1,817,158). 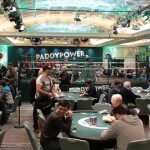 Some of the final table participants of this particular event have done well previously and have won some titles as well, like KumariOy of Russia already won 2013 SCOOP Championship, whereas Brazilian “nicofellow” took down 2013 SCOOP Medium Main Event championship for an amount $472K and pmahoney22 of Mexico has won a TCOOP Title back in 2014 for an amount $144K. Okay! The game started and the first elimination from the table was of Mexican Patrick “pmahoney22” Mahoney. “pmahoney22” played against stardust167 and got busted to ninth place for an amount take home $9,013. Next elimination was of Brazilian Gordinho90, who took home $14,445 and was at eighth position. Then comes the time for the Israeli DEdgge(1,817,158 chips and $25,423) and Australian MDaBuster ($36,979) to hit the rail for seventh and sixth positions respectively. Capodelon of Switzerland ended at fifth place for an amount take home $48,535, whereas feldegani.ps of Brazil and who was down to 7.3 million with blinds 200,000/400,000 made mistake an ended at fourth place for an amount $64,886. Now the game was in between three remaining players which has stardust167 (16.5 million), nicofellow(14.5 million) and KumariOy(26.7 Million). After playing many hands and seeing ups and downs in the game KumariOy of Russia was left with only 1.4 million chips and concluded third place and received $93,603. The heads up round took place in between “stardust167” 9 24,967,700) and “nicofellow”( 32,812,300 Chips). Few more hands played and “stardust167” (J♣T♦) becomes the champion and won $179,120. “nicofellow”(A♥2♦) becomes runner up and collected $132,894.